How did everyones 2018 unlimited sheep hunts turn out? Packed in a long ways, found sheep, got sick and about died, hiked out, puked the entire way. Going back next year. Johnsonville salami will not be attending. That is very unfortunate eyjonas. Especially after seeing sheep.. After a year or so of following, planning, and researching i plan on hunting the unlimiteds in 2019. Following you guys and reading about the dedication you all have to this hunt is admirable. I cannot wait to get into that country and glass . I know this is probably a stupid question but has a non resident ever even taken a ram in an unlimited area. It seems like you would need to scout for months in advance. Another question, when an areas quota is filled can you go to another area with your tag or do you have to pick an area and stay in that area. So in that case if the quota fills is your tag invalid then? Yes some rams have been taken by N.R's. The hunt is over and your tag is used when the quota fills. No switching to different units. Thank you very much for the info Gerald it gives me a little more confidence in planning my hunt for there. I see you have a very nice goat in your profile picture congrats on that. I always dream of taking a big horn and a goat DIY style. 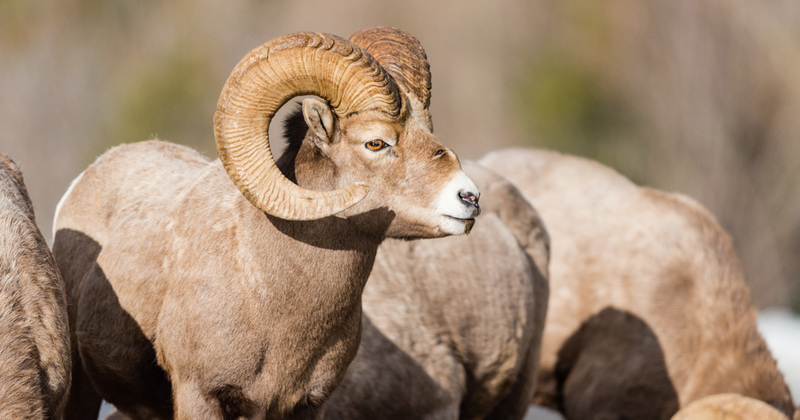 has a non resident ever even taken a ram in an unlimited area. If you get on the rokslide forums and look through the MT Unlimited thread theres some pictures / stories of nice rams taken by NR in a few different UL areas. I met a guy at one of the sheep shows from Utah who's son and daughter both shot nice rams in the same unit, in the same year. I have been trying to find out where i can find the harvest areas on the Montana fwp website but i cannot find it anywhere. Can anyone tell me where i can find this information. Contact region 3 headquarters and ask for 300 harvest data, and call region 5 headquarters and ask for 500 data if you are interested in those units. They can email to you. Here is the URL to go to, and yeah it is a pain to find, I know where it is and I still have to bump around a bit to find it. It's a typical horrific idea from someone who knows nothing about any of the logistics of the unlimited units. Just a complete idiot that is bitching about not ever drawing a tag. I'm plum happy with exploring the units with maybe 65 to 85 tag holders, I'm not interested in exploring the units with 500 or 850 people. If that happens those units will either shut down or become a draw. Just like the 302, 305 areas around Big Sky in the 80s. Over the years there has been a lot of talk and ideas from other hunters that have either hunted the unlimiteds or maybe even been successful. Some seem to think that the 7 year wait shouldn't apply to them if they are successful. To me that's another idiotic thought, theres a reason that we have this special opportunity to hunt the unlimited units and most of it is all thanks to Shawn Stewart who is one of the top sheep biologist in the nation. The way he has it layed out with the quotas/seasons/boundaries/ so on and so forth is absolutely genius. Don't go changin something that doesn't need changing, because one day it may not exist. To me this hunt is a blessing and the only one of its kind. I can't see any change benefits. Who wants to bet Representative Denley M. Loge, the bill's primary sponsor, has 20 points and is upset that he hasn't drawn a tag yet? Whatever happens, hopefully Shawn will figure out a way to keep the unlimiteds viable. Obviously no change would be the best outcome. If it does pass, I'd rather them just make it one sheep and you're done hunting sheep altogether in Montana. In my opinion, that's better than having 500 people per unit hunting 2 rams per unit in the unlimiteds. I'm plum happy with exploring the units with maybe 65 to 85 tag holders, I'm not interested in exploring the units with 500 or 850 people. If that happens those units will either shut down or become a draw. Just like the 302, 305 areas around Big Sky in the 80s. ...theres a reason that we have this special opportunity to hunt the unlimited units and most of it is all thanks to Shawn Stewart who is one of the top sheep biologist in the nation. The way he has it layed out with the quotas/seasons/boundaries/ so on and so forth is absolutely genius. Don't go changin something that doesn't need changing, because one day it may not exist. To me this hunt is a blessing and the only one of its kind. I can't see any change benefits. Leave the MSG regs alone. If politicians insist on dicking with stuff they know nothing about, make all the districts OIL to at least preserve the opportunity and experience...I'd rather spend a lifetime in the unlimiteds looking for one special ram than lose the privilege altogether. Denley did draw the cutoff unit and killed a very nice ram so he has probably around zero points. Shawn Stewart (Mr Unlimited)was deservedly honored last night in Billings for his lifetime biologist work with bighorn sheep. We are lucky to have him all these years with FWP! Shawn Stewart is the person that made it possible for a poor country boy from the foothills of North Carolina to have a chance to hunt Big Horn Sheep. THANK you Mr. Stewart I will always be GRATEFUL . THANK YOU, THANK YOU Mr. Unlimited. I sure hope our paths will cross someday so I can thank you in person.